Whether you're looking to save money on auto insurance, or simply want to brush up on rules of the road—we can help with easy and affordable course options. With our online DMV-approved California Mature Drivers Improvement Course for adults 55 and older, you get up to 15% off on car insurance: it's required by the law! The course covers the latest information on safe driving, so you stay secure and confident on the road. Take our convenient course online anytime and go at your own pace. 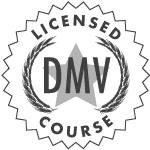 Our online California Mature Drivers Improvement Course is DMV-approved (Easy Driving School, LLC, LIC. #MO334) and designed just for California drivers over 55 years old. DriversEd.com's Mature Drivers Improvement Course benefits you and your wallet. By taking this Mature Drivers Improvement Course, drivers 55 years or older will receive a mandatory insurance discount on their auto liability insurance. In addition, our Mature Drivers Improvement Course helps you brush up on the latest techniques for safe driving. These days, not having a California license means depending on others or using public transportation. By taking our online California Mature Drivers Improvement Course, you can bring your driving knowledge up to date. With our Mature Drivers Improvement Course, you learn essential information to pass your DMV license renewal test. Our California Mature Drivers Improvement Course lets you learn right from home. With unlimited access to the California Mature Drivers Improvement Course, you can study for your DMV license renewal test whenever you need. Finally, our DMV-approved California Mature Drivers Improvement Course can help you save up to 15% on car insurance. Our California Mature Drivers Improvement Course earns you an insurance discount mandated by California insurance law (section 11628.3): you can save up to 15% on your car insurance. Check with your insurance agent to see how much you'll save by taking our course. Our Mature Drivers Improvement Course teaches techniques for defensive driving tailored to drivers 55 and older to help you keep yourself safe and your insurance rates low. If you're not happy with your California Mature Drivers Improvement Course, you can get your money back! If you haven't yet completed the course and have not received your Certificate of Completion, we'll send your money back, no questions asked. We're that confident you'll love your course and the lower insurance rates you'll earn. Learn How to Get a California AB 60 Drivers License!